Dr Michael Zasloff is a professor, medical researcher, immunologist and geneticist and is currently professor of surgery and paediatrics at Georgetown University School of Medicine, US. In 1993 he discovered squalamine in the liver tissue of dogfish sharks. 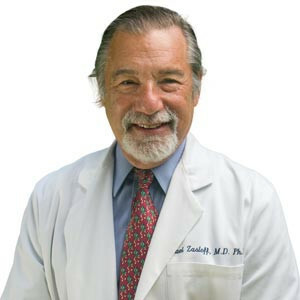 Between 2002 and 2004 he served as Dean of Research and Translational Science for Georgetown University School of Medicine. 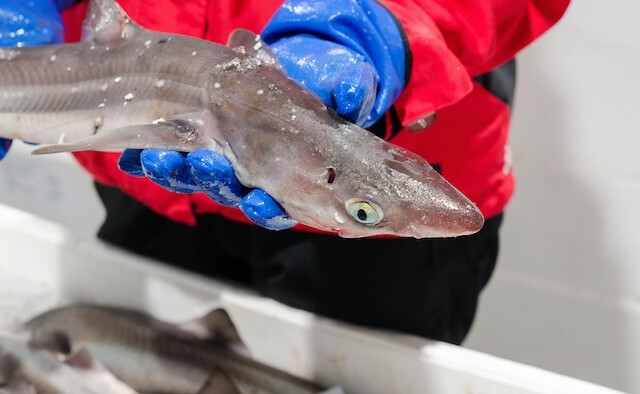 A steroid found in the livers of dogfish sharks could help treat Parkinson’s disease, scientists at the University of Cambridge, UK, believe. The natural compound, called squalamine, is often studied for its anti-cancer and anti-infective properties but researchers now think that it could also lead to future treatments for Parkinson’s disease. Dr Michael Zasloff, professor of surgery and paediatrics at Georgetown University School of Medicine, co-authored a recent research paper published in ‘Proceedings of the National Academy of Sciences’ that suggests squalamine dramatically inhibits the early formation of toxic aggregates of the protein alpha-synuclein, which is thought to start a chain reaction of molecular events eventually leading to the development of Parkinson’s. Scientists from the Italy, the Netherlands, Spain, the UK and the US all worked together to make this discovery. The team assert that it is scientifically possible for squalamine to prevent the progression of the condition; but advise that individuals with late-stage Parkinson’s – after many of the areas of the brain have been destroyed – will not benefit from the treatment’s in the same way as those whereby treatment would begin sooner. 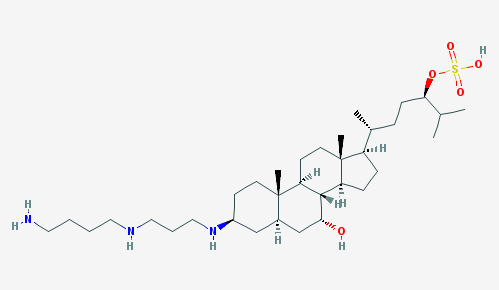 The team would like to conduct further research to determine what the precise benefits of squalamine would be – and what form any resulting drug might take. This video shows genetically engineered worms that develop Parkinson’s – as they age alpha-synuclein accumulates to form aggregates that damage the muscle cells in their bodies. This video shows what happens if the worms are fed squalamine as they develop: they have much more movement. The anti-microbial compound was discovered in 1993 by Dr Michael Zasloff in the liver tissue of dogfish sharks. He was looking for an explanation as to why the fish were so good at fighting off infection. Scientists can now create a synthetic form of the compound in the laboratory.